This is a collection of three previously published stand-alone short stories. Marina Mystery - A dead body introduces Detective Jim Nash to Coroner Allie Sands. Despite warnings from just about every woman working in the same building, Allie throws caution to the winds while helping Jim solve a murder. As their relationship deepens, someone is intent on digging a grave for Jim deep enough that he will never climb out. 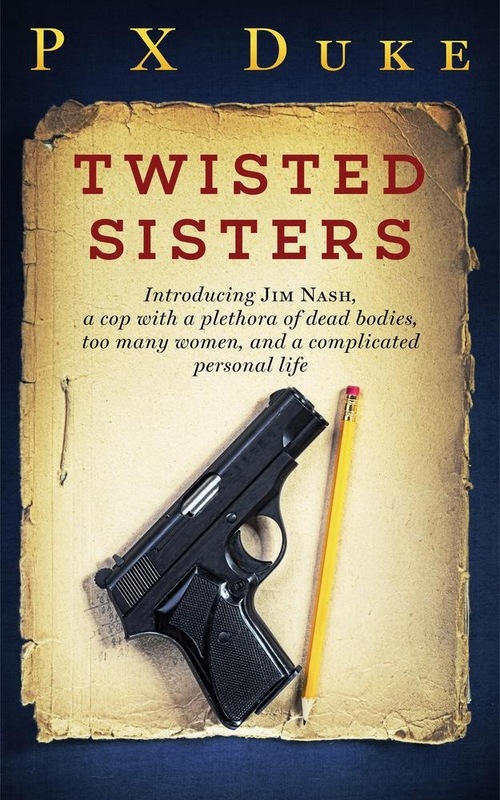 Twisted Sisters - Detective Jim Nash has a problem. He has a murder victim in an alley and a dead woman in his bed. His own homicide division wants to charge him with murder. To say he’s got serious commitment problems would be an understatement. He's on the lookout for twins, but he doesn't want to date them. He wants to know who murdered them. Sleeping with a .45 - Detective Nash still has a couple of problems. He doesn’t know who killed the woman found dead in his bed. As if that wasn’t enough, someone is trying to kill him, and the killer’s methods aren’t very inventive. In fact, they’re pretty old-fashioned. His boss says he’s too close to both crimes and won’t permit him to investigate. The women in his life fare only a little better. Lucy and Zelda narrowly escape an attempt on their own lives. Acquista Twisted Sisters Collection in Epub: dopo aver letto l’ebook Twisted Sisters Collection di P X Duke ti invitiamo a lasciarci una Recensione qui sotto: sarà utile agli utenti che non abbiano ancora letto questo libro e che vogliano avere delle opinioni altrui. L’opinione su di un libro è molto soggettiva e per questo leggere eventuali recensioni negative non ci dovrà frenare dall’acquisto, anzi dovrà spingerci ad acquistare il libro in fretta per poter dire la nostra ed eventualmente smentire quanto commentato da altri, contribuendo ad arricchire più possibile i commenti e dare sempre più spunti di confronto al pubblico online.